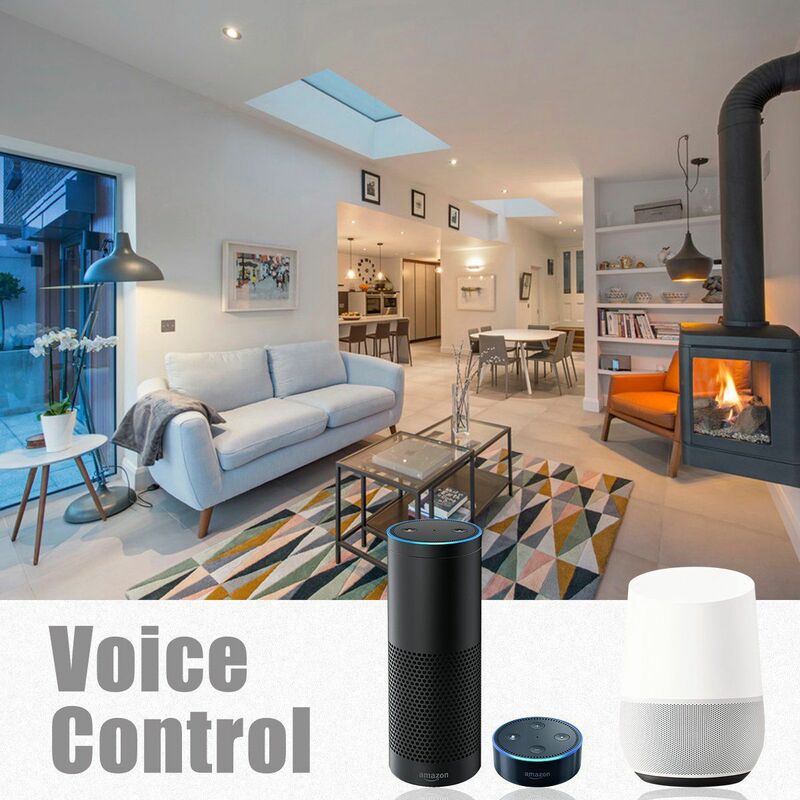 Personalize Your Life -- Work with Amazon Alexa, and Google Home. 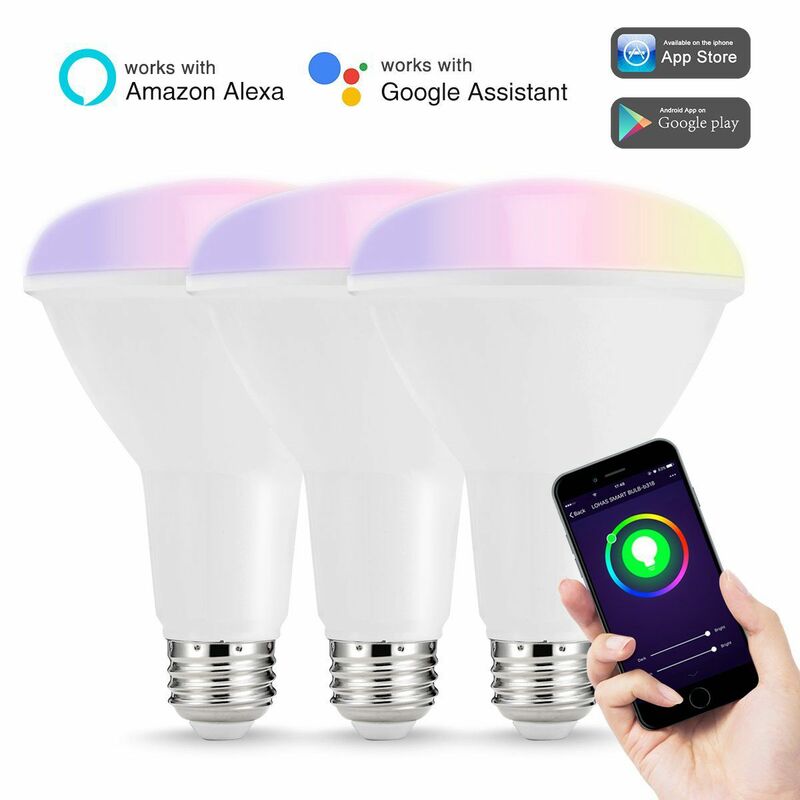 You will enjoy the rainbow color light bulbs (from 2000K to 9000K) via voice control.Free to Schedule -- Support timing function, just set a time to turn it on/off previously, and it will be auto on/off whenever you want. 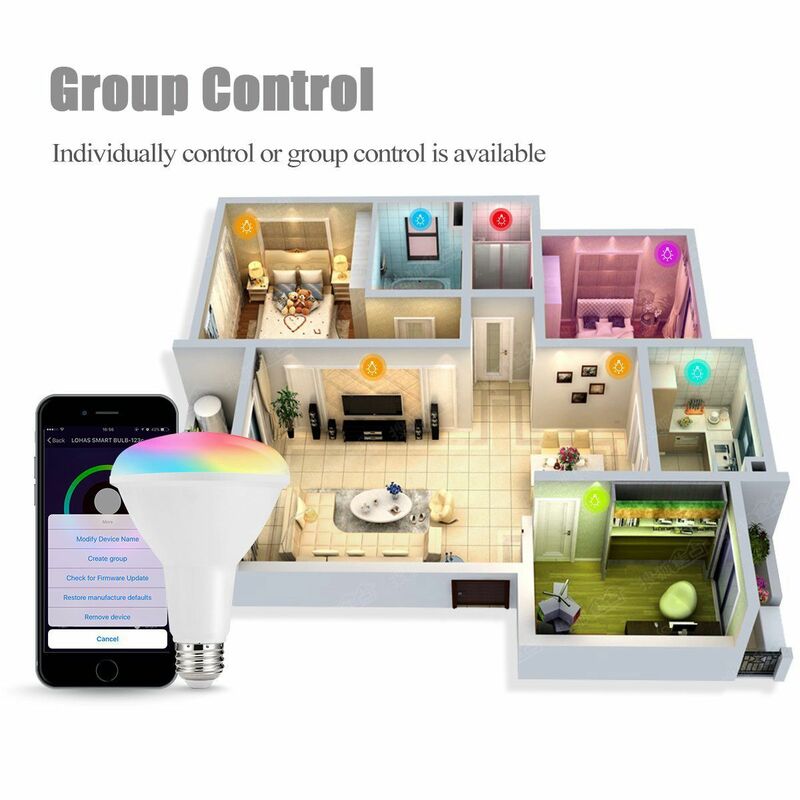 Support Group Control -- Brighten up two or more smart lights bulbs by creating smart lamp groups on the app. Synchronous control (Such as, gradually dim them or change the color of them all simultaneously) will be realized. 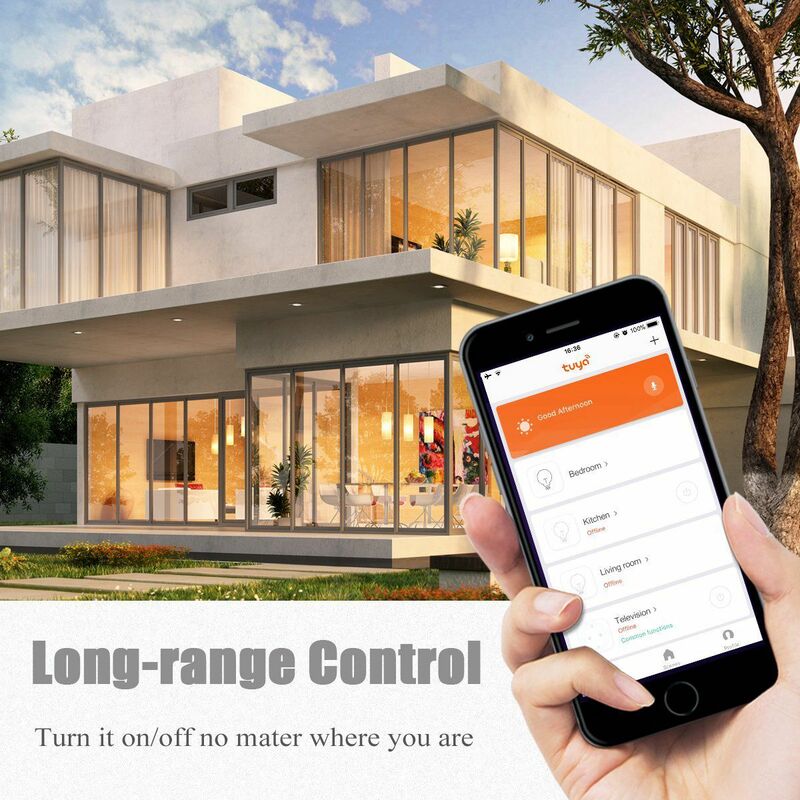 Remote Control -- Control the WiFi Light LED no matter where you are. Turn it on/off without leaving your bed or before going back home.Control the light on at night and let the light off during the day when you\'re away from your house on vacation or you are gone overnight which improve home security and save energy. 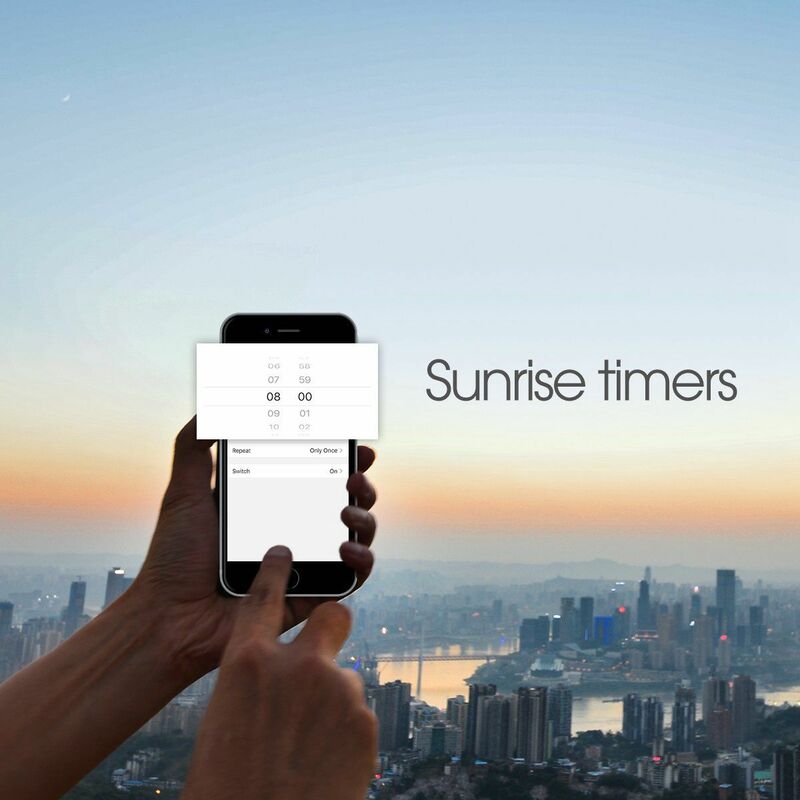 Support Timing -- The sleep timer will automatically turn off the light after the preset time has elapsed per your settings.You can set the bedtime for your children through the way of light off.You do not have to remember to turn off the bulb before you go to sleep.You also can set a wake-up time with your favorite color. 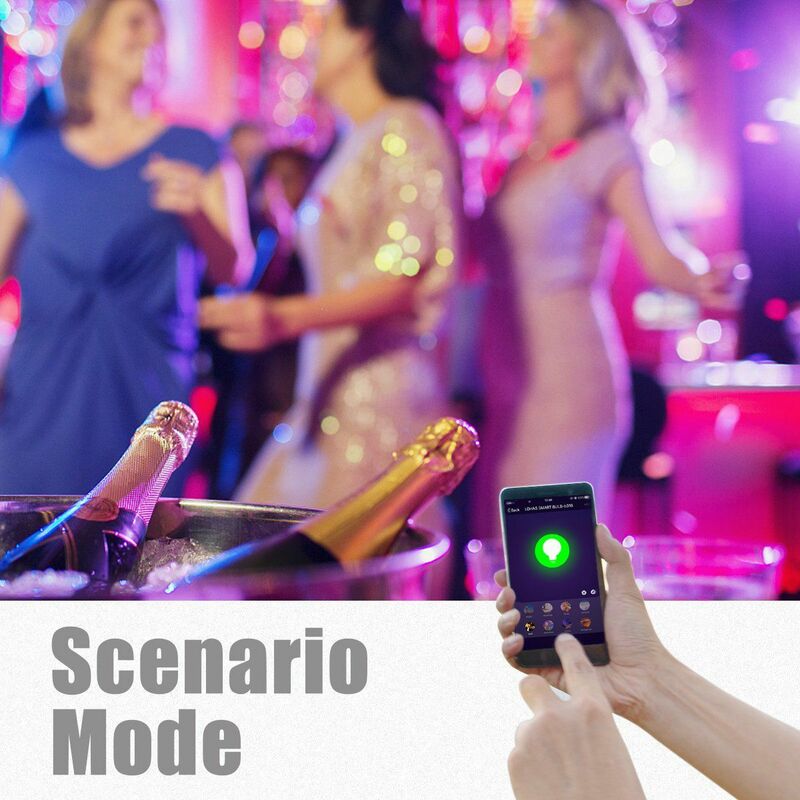 There are 8 scene modes to meet your lighting needs. Night--The orange light helps sleep. Leisure--Light blue light is relaxing. Party--Orange red light creates a vivacious atmosphere. 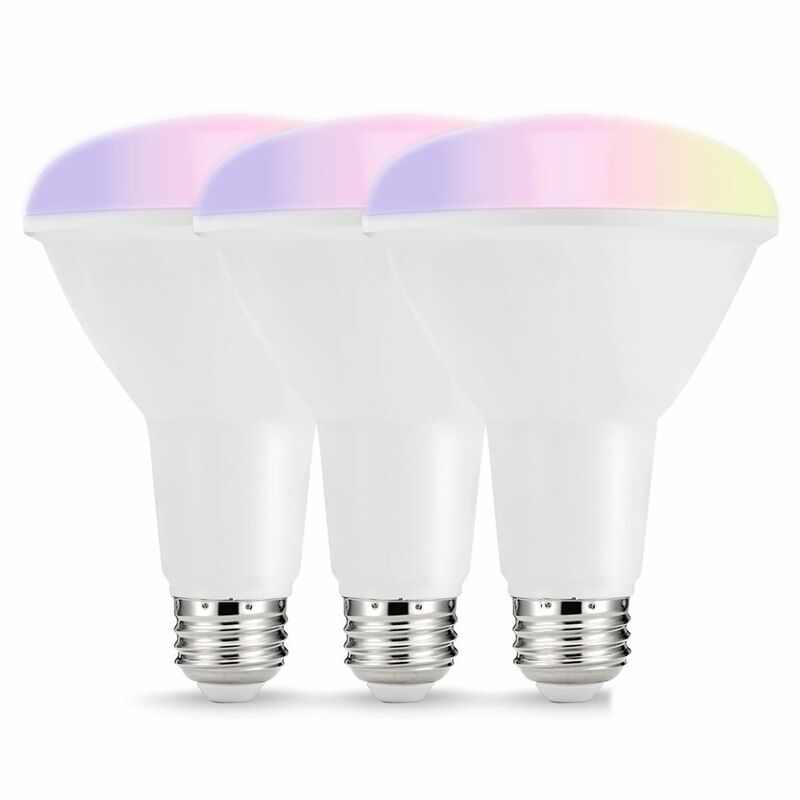 You can create groups on the APP to manage two or more smart light bulbs. Synchronous control will be realized through smart lamp group. Such as, gradually dim them or change the color of them all simultaneously. The color temperature of the light is from 2000k to 9000k. More than 16 million color for you to choose and all of them can be adjusted to suit your mood. 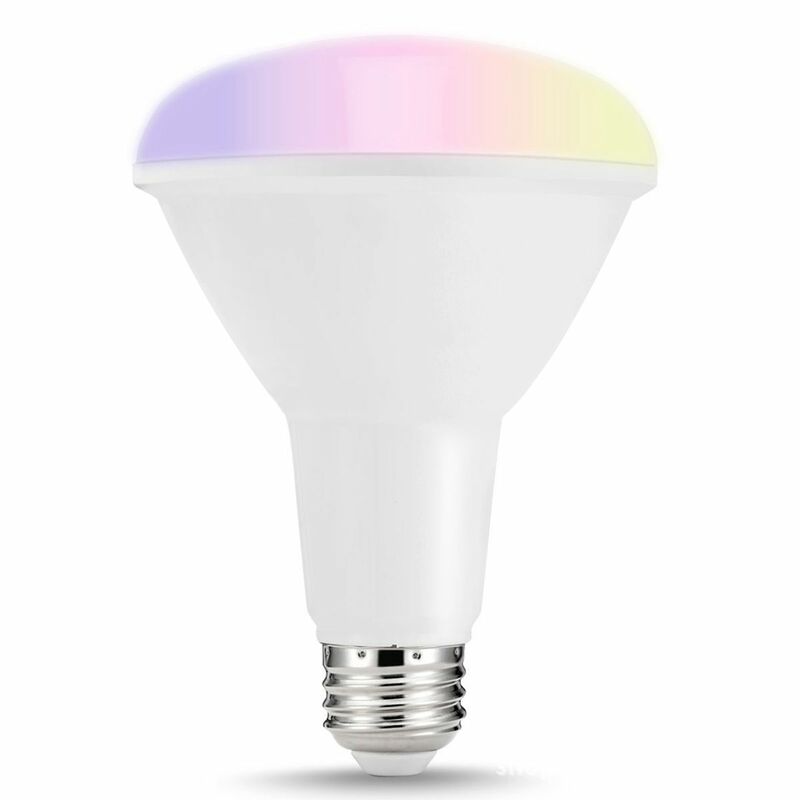 ​This BR30 smart bulb works with any Wi-Fi router (2.4 GHz Band) without the need for a separate hub or paid subscription service. If your tracking number is no logistics information, as thousands of parcels sent to foreign countries, logistics companies did not update logistics information, please contact us the first time, Please kindly do not directly open the dispute. We are the first time for you to solve! All of product we can shipping out within 5~8 weekday, on usually we are according to customer orders time for packing and shipment, we need to carefully check the quality of the goods before to Ship, So take some time to handled. Due to force majeure factors: hurricanes, rainstorms affect flights. Leading to logistics delays. We are honest sellers, will not let you suffer any loss. Please give the logistics company a little processing time, we wait for the package to reach your side. If the local post office does hasn\'t contact you, please contact your local post office as soon as possible to get your package. Otherwise, overtime receipt of parcels, the local post office will return your parcel, the consequences of self-responsibility. When we have finished time of shipment, if the product protection period running out, please extend the product protection period by yourself or contact us, Please kindly don\'t open the dispute directly. When you receive the goods, if there are any problem, please contact us and do not directly open the dispute. We promise we will give you a satisfied solution after we confirmed it. We also will give you a positive evaluation. We sincerely invite you to leave us a positive feedback with an overall Detailed Selling Rating (DSR) of 5 Stars. When you show your nice picture on our feedback area please sent message tell us, the next order contact me, will be additional surprises. Order amount 100 US dollars more than at same times , we can free shipping DHL,EMS, UPS, will become our VIP customers, enjoy additional benefits for all the life. Q: How can track my parcel? Q: As a retail or wholesale to offer wholesale price if i lots of items? A: if you need to buy plenty of items at the same times, please contact me first. i will offer you the competitive wholesale price . Q: How Can i pay my order? A: Aliexpress supports Visa, MasterCard, Maestre Debit Card, Western Union, and wire transfer via bank. If items damaged,we must be contacted within 24 hours of receipt. If the item is in your possession more than 7 days, it is considered used and we will not issue you a refund or replacement. If you are not satisfied when you receive the item (incorrect, damaged, defective, or item not as described), please return it within 7 days for a replacement or money back.